I have this dealer only sign from a defunct Mazda Dealership in Indianapolis IN. I'm interested in finding a home for it. I'd like someone who appreciates it and it's uniqueness to have it in their garage. This is insanely rare, and it is in absolutely perfect shape. Both sides say the same thing, it lights up, and it does work. Please consider the freight that it will take to ship this 6-foot sign to you from Indianapolis. 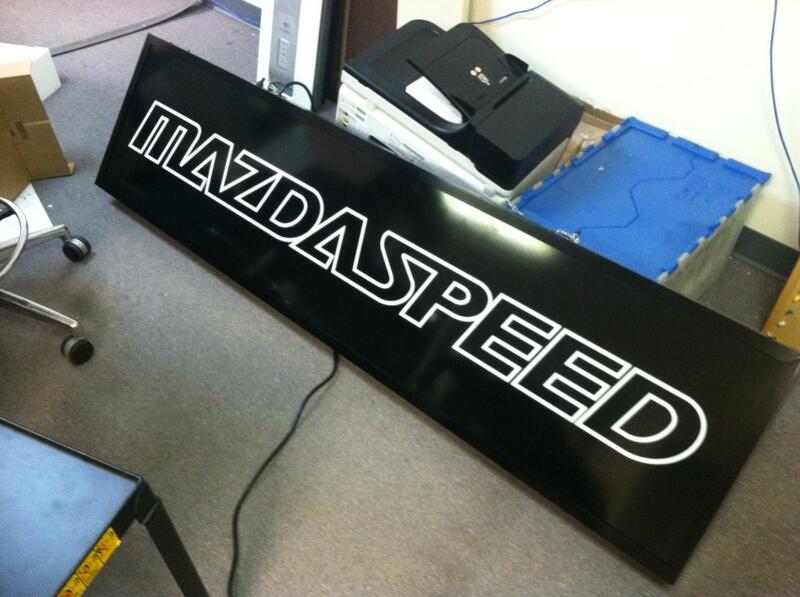 Be the coolest, buy this awesome, authentic, rare, and mint condition Mazdaspeed signage. email mike(a)madorbit[dot]com if you're interested. Seriously, I'm not a Mazda enthusiast, I just love signs, and I couldn't pass this one up. I've only posted once, because I want to sell this sign. I have to pass it on because we are remodeling and I really need the space. You're gonna love it! Get your bilstein pss9 kit, on sale now! One owner 2007 RX-8 Sport with low miles!